Around this time last year, I invited readers to connect at the 2015 SHRM Annual Conference and Expo in Las Vegas. Notwithstanding my try-too-hard-to-be-whimsically-irreverent approach, I made some great connections. Now, one year wiser, I’m going to keep it sincere and humble. So, imagine arriving in Washington, DC, only to being carried off the ground by President Obama’s private fleet of butterflies, and delivered gracefully to me at the Conference to be anointed as an HR god(dess). Did I mention that, “blasphemous and creepy” is the new “sincere and humble”? 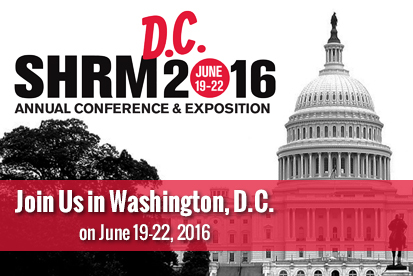 I’m going to be at SHRM16 on Monday, June 20, and, probably, Tuesday too. I’ll be doing some learning, networking, blogging, and snapchatting. If you’d like to meet, maybe have a cup of coffee, email me. I’d love to meet you.